Eggplant purchased from local farmers is colorful, tender, sweet, and delicious; the typical store-bought variety, large and bulbous, is a pale comparison when it comes to taste. If you think you don’t like eggplant, buy some from your local farmer and you’ll soon discover the taste difference! And this recipe, when combined with green chiles that are in season along with eggplant, is a delicious and easy side dish to add to your meals. 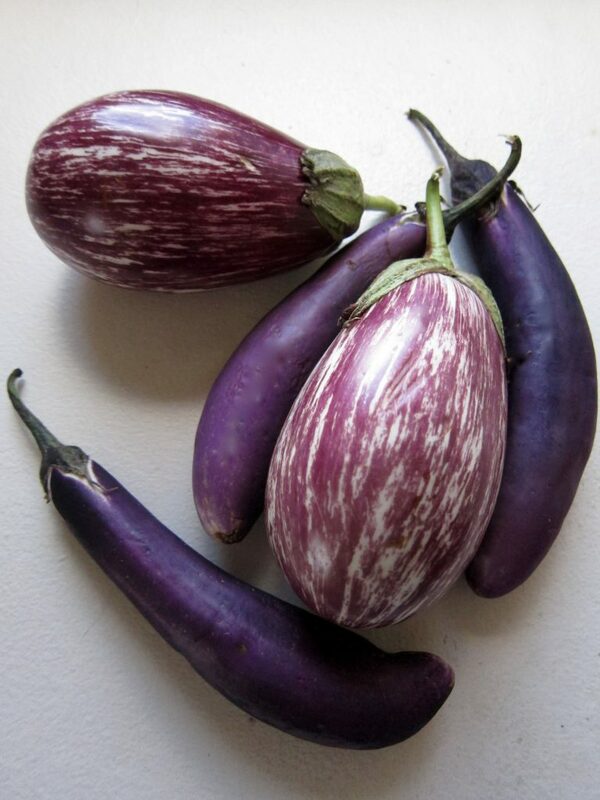 Locally grown eggplants come in a variety of shapes and colors. They are far superior in taste and texture to typical store-bought eggplant. Toss green chiles and colorful eggplant with olive oil and honey. Heat your oven to 435F. Deseed the green chiles, and slice in half lengthwise. Cut off the tops of eggplant, and slice thin varieties in half. Slice thicker eggplants to an equal thickness. 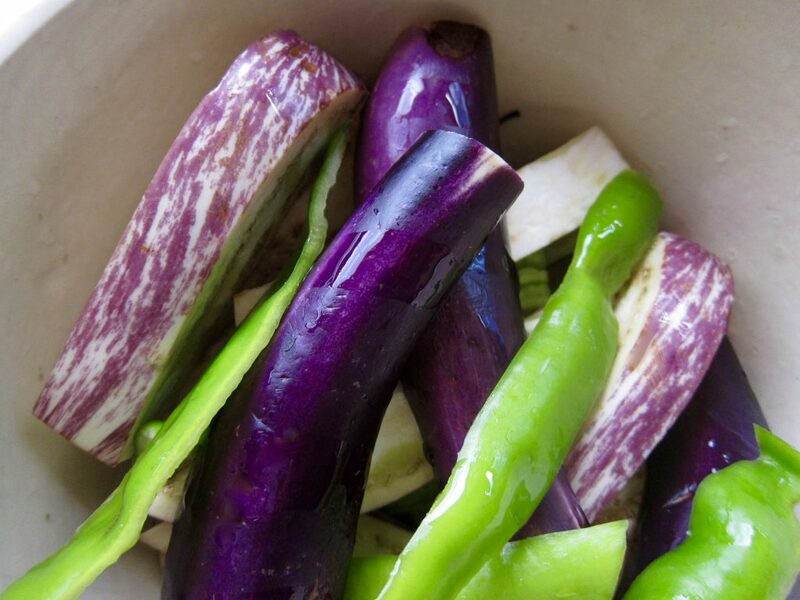 Place the eggplant and green chiles in a bowl and drizzle with your honey and olive oil. Toss to cover evenly. 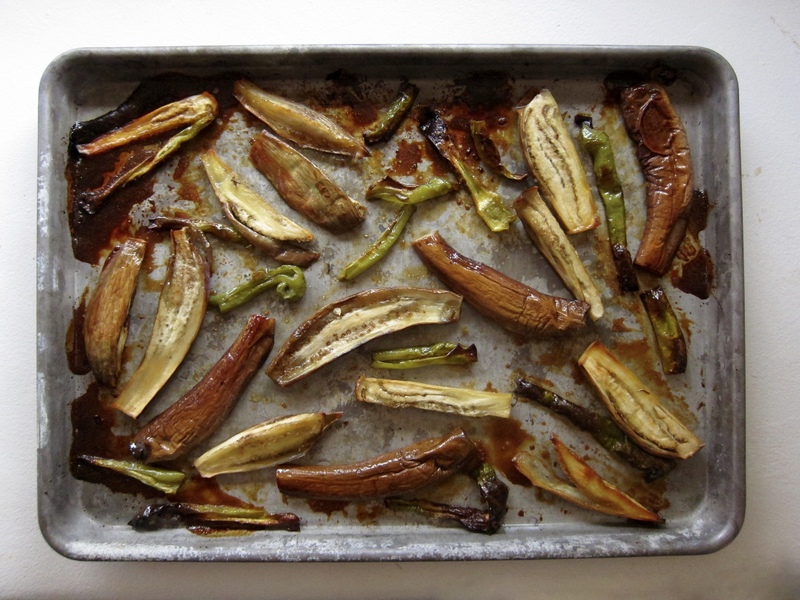 Arrange the eggplant, skin side up when possible, and green chiles in a single layer on a rimmed baking sheet. Bake for 20 minutes. Flip and roast an additional 10 minutes, or until the eggplant is soft and golden brown. Serve with a side salad as part of a healthy, easy-to-prepare meal. Eggplant roasted with green chile and honey is best when the eggplant is locally grown.